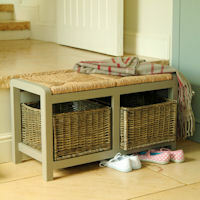 New to our range of storage furniture is our Kuba console table. 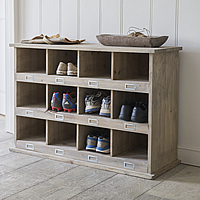 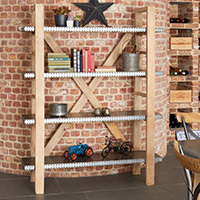 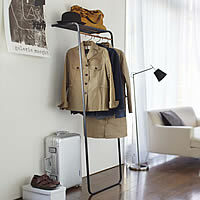 Each piece is crafted from solid Acacia hardwood with a studded zinc top for a cool industrial feel. 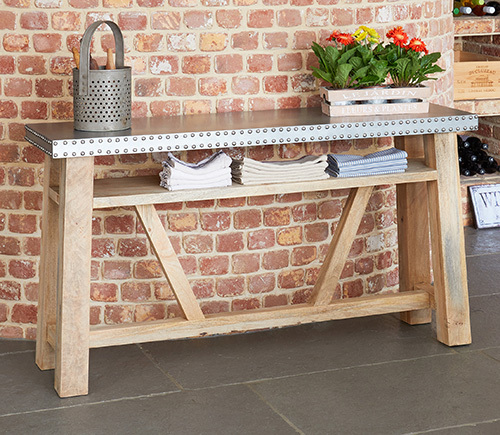 At 138cm wide, our console table is ideal for using in the hallway, living room, dining room or even in an alcove. 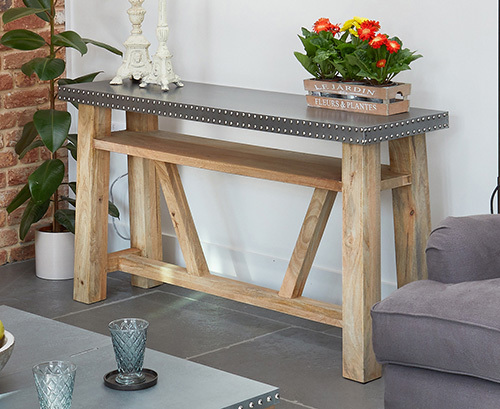 The table has been finished with a clear oil to enhance the natural beauty of the hardwood and is delivered to you fully assembled. 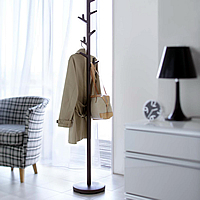 We've also included a 5 year guarantee for extra peace of mind.